#INFLUENCETHIS recap: Storytelling in the age of the influencer | APEX Public Relations Inc. 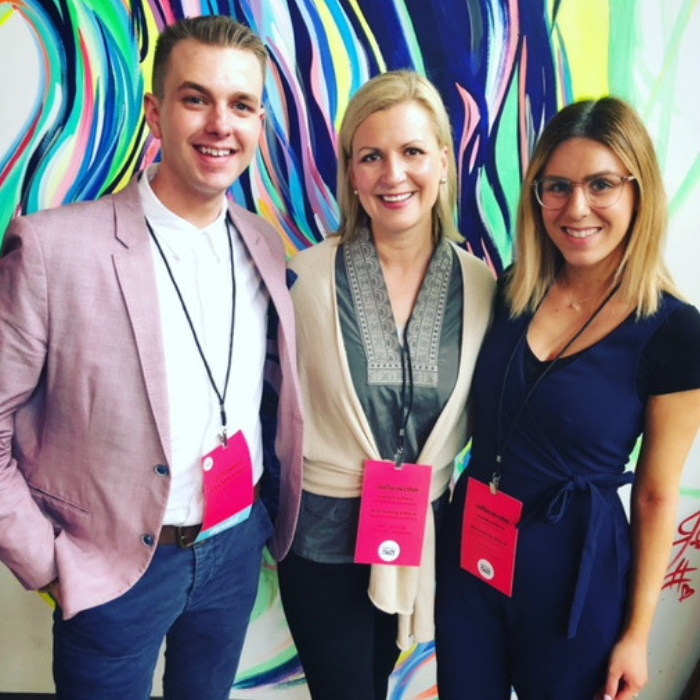 This past May, account coordinator Kristia Pavlakos and consultant Derek Bathurst attended the #INFLUENCETHIS conference, where they had the chance to experience a variety of panels on everything from marketing in the digital age to YouTube as a growing influencer platform. We sip our coffee as Victor Lee, VP Marketing at Hasbro, takes the stage at #INFLUENCETHIS. It’s no easy feat to grab the attention of your audience (especially before 10 AM), but Lee delivers his message in a way that makes a lasting impact; he is engaging, direct and very funny. Ironically (or not so much), the topic of his discussion: engaging storytelling. Below, we offer our insights from Lee’s panel discussion. The concept of branded storytelling as we know it is changing – in a digital age, brands are now relying on influencers to tell their stories. Traditionally, brands provide influencers with specific products to feature on their blogs and social channels, along with key messages and style guidelines. Some brands adhere to these guidelines strictly; as PR practitioners, though, we know that sometimes this can result in staged and unnatural content. TIME Magazine reported that according to a 2015 study conducted by Microsoft, people now generally lose concentration after eight seconds. That’s less than a goldfish! (9 seconds) Lee asserts that we are now wired to believe that “there is something better if we just keep scrolling,” and because of this, we have difficulty staying in the present and really digesting the messages being conveyed. There is a new definition of the story, Lee suggests: will someone watch it? Talk about it? Share it? Duplicate it? It’s this element of “virality” that lends the brand a new life, the story up to the interpretation of each new person it reaches. Lee notes that we need to stop talking about digital marketing and data. We are marketing now in a digital world. Even if someone tries to segment and isolate the digital aspect out of it, it’s not going away. We can’t build content for one platform and expect it to translate to all other platforms – what works for Instagram doesn’t always work for Facebook or Twitter. Our suggestion: instead of siphoning content through strict brand guidelines, we must work with the influencer to understand their audiences across a variety of platforms, including Instagram and YouTube. Lee leaves us with one more important message as he steps off the stage: failure is inevitable, especially when dealing with the uncharted waters of audiences in the digital world – accept it, live it, and celebrate it. NEXT: #Weekending on the East Coast!